Do Hedge Funds and Insiders Love Education Management Corp (EDMC)? Education Management Corp (NASDAQ:EDMC) has experienced an increase in enthusiasm from smart money of late. To most investors, hedge funds are seen as underperforming, outdated investment vehicles of years past. While there are greater than 8000 funds in operation at the moment, we at Insider Monkey choose to focus on the upper echelon of this club, about 450 funds. Most estimates calculate that this group has its hands on most of the hedge fund industry’s total capital, and by paying attention to their highest performing stock picks, we have determined a number of investment strategies that have historically beaten the market. Our small-cap hedge fund strategy outstripped the S&P 500 index by 18 percentage points per year for a decade in our back tests, and since we’ve started sharing our picks with our subscribers at the end of August 2012, we have outpaced the S&P 500 index by 24 percentage points in 7 months (see the details here). Equally as key, bullish insider trading sentiment is a second way to parse down the marketplace. Obviously, there are plenty of motivations for an executive to drop shares of his or her company, but just one, very obvious reason why they would buy. Several empirical studies have demonstrated the useful potential of this method if you understand where to look (learn more here). With these “truths” under our belt, we’re going to take a gander at the recent action regarding Education Management Corp (NASDAQ:EDMC). What does the smart money think about Education Management Corp (NASDAQ:EDMC)? At the end of the fourth quarter, a total of 6 of the hedge funds we track were bullish in this stock, a change of 20% from one quarter earlier. With hedge funds’ positions undergoing their usual ebb and flow, there exists a select group of notable hedge fund managers who were boosting their stakes meaningfully. 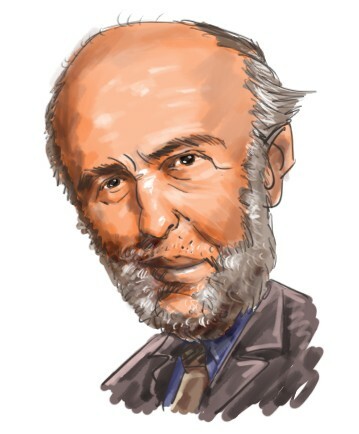 According to our comprehensive database, Renaissance Technologies, managed by Jim Simons, holds the largest position in Education Management Corp (NASDAQ:EDMC). Renaissance Technologies has a $1.4 million position in the stock, comprising less than 0.1%% of its 13F portfolio. Coming in second is MFP Investors, managed by Michael Price, which held a $0.8 million position; the fund has 0.1% of its 13F portfolio invested in the stock. Some other peers with similar optimism include Joel Greenblatt’s Gotham Asset Management, Ryan Heslop and Ariel Warszawski’s Firefly Value Partners and Ken Griffin’s Citadel Investment Group. As aggregate interest increased, key money managers have jumped into Education Management Corp (NASDAQ:EDMC) headfirst. Firefly Value Partners, managed by Ryan Heslop and Ariel Warszawski, assembled the largest position in Education Management Corp (NASDAQ:EDMC). Firefly Value Partners had 0.5 million invested in the company at the end of the quarter. What have insiders been doing with Education Management Corp (NASDAQ:EDMC)? Insider buying is at its handiest when the company we’re looking at has seen transactions within the past 180 days. Over the latest half-year time period, Education Management Corp (NASDAQ:EDMC) has experienced 1 unique insiders purchasing, and zero insider sales (see the details of insider trades here). Let’s also examine hedge fund and insider activity in other stocks similar to Education Management Corp (NASDAQ:EDMC). These stocks are ITT Educational Services, Inc. (NYSE:ESI), Bridgepoint Education Inc (NYSE:BPI), Strayer Education Inc (NASDAQ:STRA), Capella Education Company (NASDAQ:CPLA), and GP Strategies Corporation (NYSE:GPX). This group of stocks belong to the education & training services industry and their market caps resemble EDMC’s market cap.